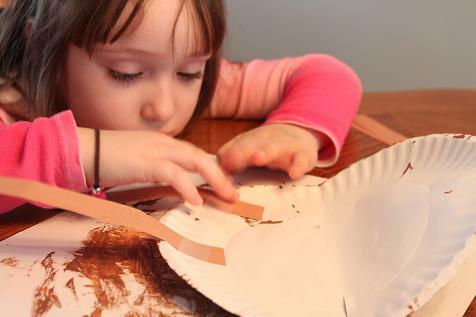 Continuing with our horse theme, today we made a paper plate horse. 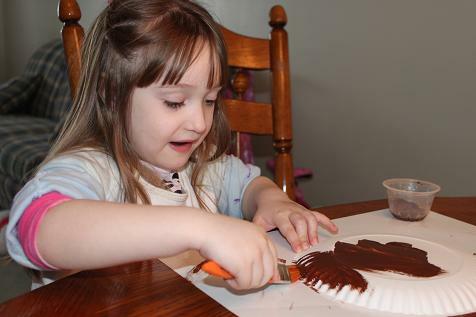 First Hailey painted a paper plate brown. Once the paint was dry she taped some legs on the other side of the plate. 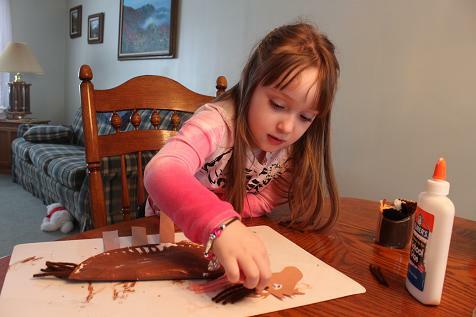 Hailey added a head (I found a coloring sheet here and reduced it to 60%). Then she added some yarn for the tail and the mane. 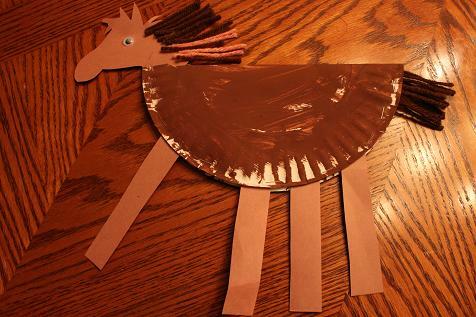 The completed paper plate horse. We’ve been reading a lot of books about horses this week too. 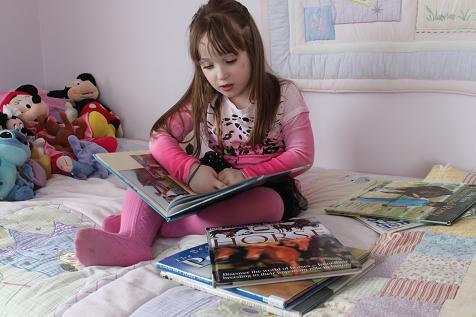 Hailey loves to look at her books. She’s checking out a few of the horse books we got from the library.